They've been moving very quickly this week. Looks as if the piling is to shore up the canal walls ahead of any works. Makes sense, I wouldn't want to pile a piling rig too near those walls! Admiral has signed up for the remaining 65000sqft at no3. Philnpt wrote: Admiral has signed up for the remaining 65000sqft at no3. Well that's pleasant surprise isn't it? 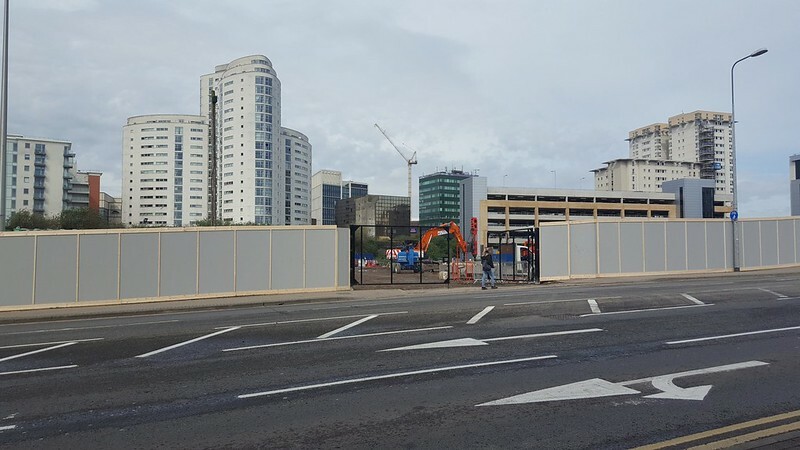 Between this good news and the recent sale of the Number 5 plot for the residential tower developer they'll surely be able to proceed with the John Street site fairly quickly. Am I right in assuming that Plot 1, 2 and 3 are now fully let? 5 obviously being the residential tower. Any of the 4th plot acquired yet? It would be great to see John Street coming along in early 2019. Lewisbeecham wrote: Am I right in assuming that Plot 1, 2 and 3 are now fully let? 5 obviously being the residential tower. Any of the 4th plot acquired yet? It would be great to see John Street coming along in early 2019. Plot 3 definitely fully let based on Which? and this news of Admiral. I don't know about number 1 and 2, but it doesn't matter for J R Smart as they no longer own them. They sold Number 1 a few years ago to the Welsh Government to help fund Number 2. Number 2 was sold by J R Smart earlier this year to Tesco's pension fund. No.2 is near as can be full. Only Ground Floor free. Rumour was a gym was going there. I think No 1 is full. All in all its been a successful project and whilst not world class architecture fits in well to its surroundings.